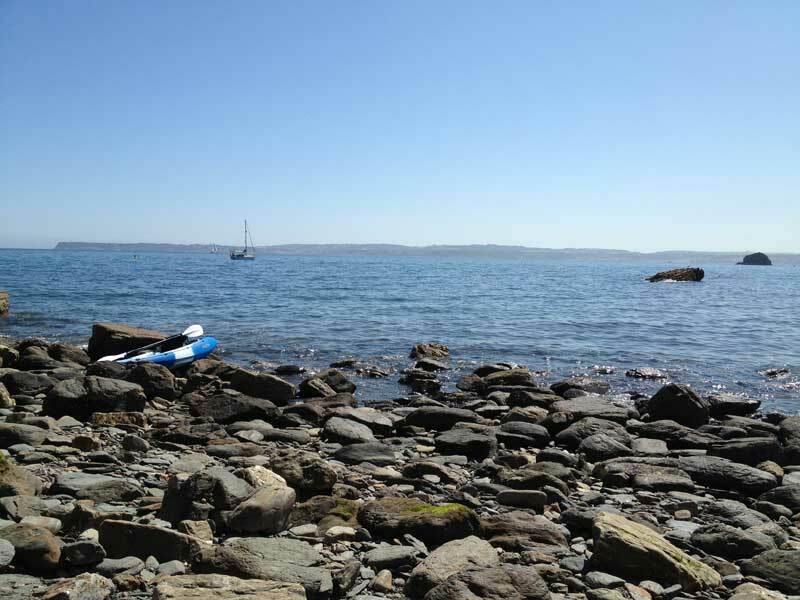 You will see a lot of kayak fisherman in and around meadfoot beach in Torquay. There are good spots for beach/rock fishing but equally there are plenty of good kayak fishing spots to be found. The right hand launch ramp has a large number of rocks (See this photo) so launching from high tide is by far the easiest but I've launched on all tides, it just needs a little more care when it isn't high tide. If you click on the map below I have highlighted these locations plus I've added the launch ramps and parking. Click on the map to greatly enlarge. Lures and feathers work well at all spots for mackerel and bass but the bass tend to be more towards Thatchers rock and hopes nose than Meadfoot beach. About 10 metres from the tip are a bunch of rocks well below the surface. Dropping a line here can acheive results. The rocks are razor sharp so be careful. 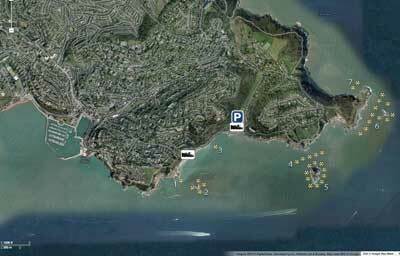 If you look at the centre beach description on my meadfoot beach page you'll see where I'm talking about. This can be a great place to bottom fish! Probably the most popular place to spin and feather. The channel is often the best spot to catch fish. This channel can be quite strong and you'll often notice a calm sea either side of the channel but larger waves and a stronger current in the channel. This can often be one of the better places to fish from. Spinning and feathering can be really good here. VERY popular with shore fisherman but being in a kayak means you can get just that bit more further out. This is a great place to bottom fish, feather, spin etc. If you have a YouTube video (or channel) I'd love to add it!